One of the beneficial aspects of trading forex is that the forex market is open 24 hours a day, five days a week. Economic data is one of the most significant catalysts for short-range price movement in any financial market, but it is more applicable to the forex market which shows a great response to the U.S. economic news, and as well to the economic news from different parts of the world. As a general rule, nearly seven pieces of economic data are released every day from the eight major currencies or countries that are mostly followed closely in the financial market. Therefore, if you decide to trade the forex on news releases, you’ll have numerous trading opportunities available. In this article, we’ll cover the economic news releases that are commonly traded by forex traders and how you should trade market-moving data. 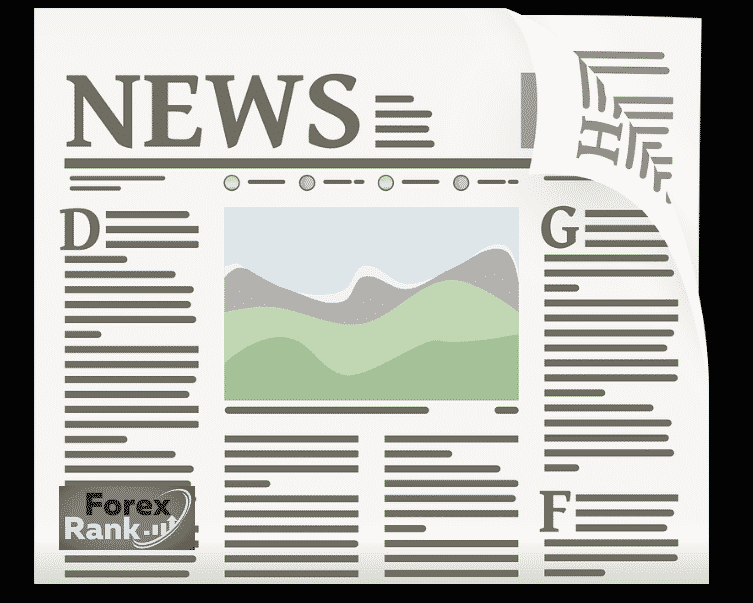 Which Forex brokers are the best for trading the news ? When your looking for a broker to trade the news, whats most important is having a broker with Super fast servers,quick trade execution speeds, deep liquidity and tight spreads. Some brokers Don’t want traders to trade the news on their platforms as its somewhat riskier on there part under market volatility. At the same time there are brokers out there that promote trading the news on their platform but have terrible “fills” during market volatility and can put you in a negative position. Trading the news is risky but the rewards can be quick and great, when you know what your doing! What Are the major news releases you should watch out for? When trading news, you need to first be aware of the news that is expected to be released during the week. Also, you ought to be aware of what is the essential data to watch out for. The relative significance of these news data may alter depending on what the present state of the economy is before their release. For instance, you may discover that trading the rate of unemployment may be more suitable than the interest rate decision in a particular month than in the other. Thus, it is essential for you to know the focus of the mark at every particular time. Which Currencies are mostly traded on news releases? The key reason for trading the news is because of its ability to increase a currency’s volatility in the short term. Therefore, it is essential that you trade merely news that has the best forex market-moving potential. While the markets react mostly to economic news from different countries, the largest moves and the most watched news in the forex market actually comes from the U.S. The main reason behind this is that the U.S. economy is the largest in the world and the U.S. Dollar serve as the world’s reserve currency. The implication of this is that the U.S. The Dollar is a participant in roughly 90% of entire forex transactions, which makes the U.S. news and data a significant instrument to watch particularly when you are trading forex on news release. 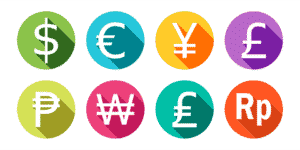 Now that we have mentioned the news events that mostly move the forex market, we’ll now talk about the currency pairs that you need to trade. Due to the fact that news can create enhanced volatility in the forex market and give rise to additional trading opportunities, it is essential for you to trade more liquid currencies pairs. As illustrated in the above list the currencies that you can trade on news releases are really versatile. This gives you the chances of handpicking the currencies and economic releases that you need to pay special attention to. However, as a general rule, given the fact that the U.S. dollar is on the opposite side of the majority and roughly 90% of all currency trades, U.S. economic releases commonly make the most impact in the forex market. The trading news is not as easy as you may think. The consensus figure report is essential to be successful as well as unofficial and unpublished forecasts and the revisions consensus report. Again, some news releases are more significant than others; this can be estimated based on both the relevance of the country whose economic data is released and the significance of the release in connection to the other pieces of data that are released concurrently. When are the major countries’ economic news released ? The table below illustrates a rough estimate of times in (EST) when the following countries releases their most significant economic data. These are as well the times you need to pay special attention to if you intent to trade on news releases. 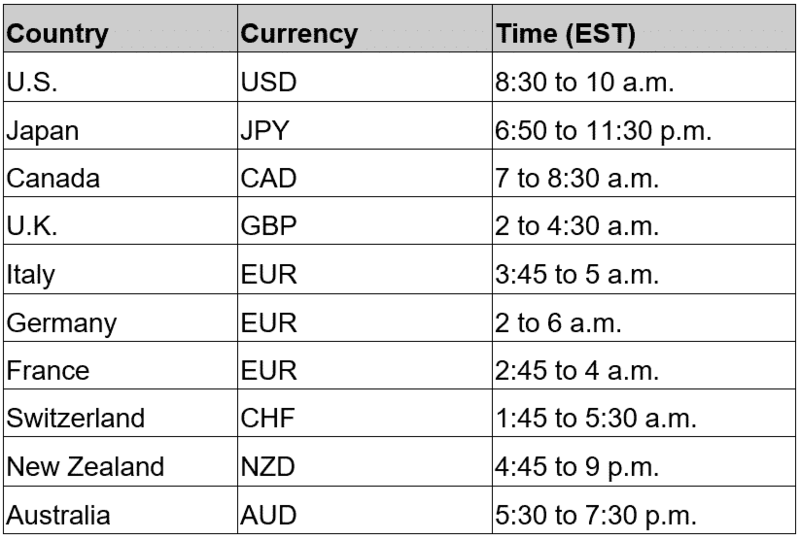 The effects of the news release of economic data of these key currencies commonly last for hours. A study found that the effect such news have on trading outcome commonly happens the first or second day, but the impact can sometimes hang about until the fourth day. The impact on the stream of orders on the contrary still persists significantly on the third day and is noticeable on the fourth day. The most significant ways to trade news is to search for a period of consolidation before a big number and to merely trade the breakout behind the number. You can do this on both a short-term basis in a single day (intraday) and on a day to day’s basis. Trading with directional bias implies that you anticipate that the market will move in a specific direction as soon as the news report is released. When you want to trade the news in a specific direction, it is essential to be aware of what specifically about the news report that is or are likely to trigger the move in the market. It’s essential to keep track of the market consensus and the real numbers. You can make a better estimate of which news reports will, in reality, trigger the market and know the exact direction it’ll move. A more widespread news trading strategy is the non-directional bias approach. The non-directional bias trading approach does not take into consideration any specific direction and merely trades the market based on the fact that a large news report will generate a huge move. It doesn’t matter the direction the forex market moves. Your concern is to be there as soon as they are released and the market makes a move. The implication of this is that as soon as the market makes a move in any of the two directions you’ll be planning to enter that trade. You don’t have any bias that the price will go up or down, and this is what gave it the name non-directional bias. The first thing you ought to do before the news release is to watch the trend of the unemployment rate to observe whether it is increasing or decreasing. By looking viewing at what has been occurring in the past, you can prepare yourself for what may occur in the future. Envisage that the unemployment rate has been rising continuously. Six months ago, the figure was at 1% and in the past one month it has risen up to 3%. You could at this point confidently say that jobs opportunities are declining and that there is a good chance that the unemployment rate will keep moving higher and higher. Because your anticipation is that the rate of unemployment will rise, you can begin to make preparations on how you can go short on the dollar. This is your directional bias. 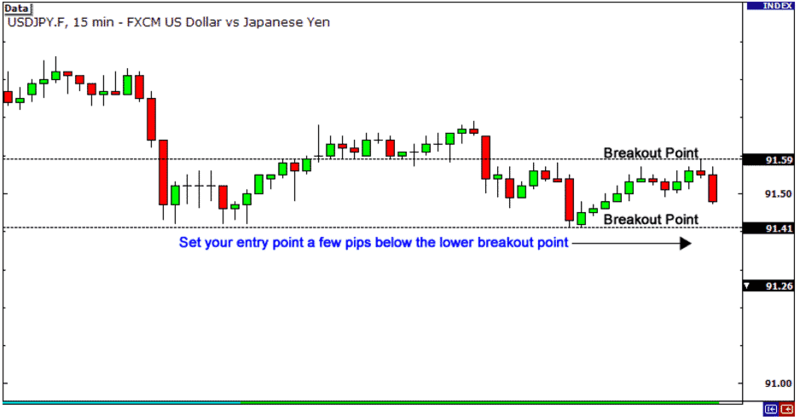 You could, in particular, decide to go short for the USD/JPY currency pair. Immediately before the releases of the unemployment rate, you could view the price movement of USD/JPY roughly 20 minutes before and discover the range of movement. Observe the high and low that is made. This will be your breakout points. The lesser the range, the greater likelihood that a volatile movement will occur! Because you have a bearish outlook on the dollar which is your directional bias, you would pay special attention to the lower breakout point of that range. You are anticipating the dollar to fall. 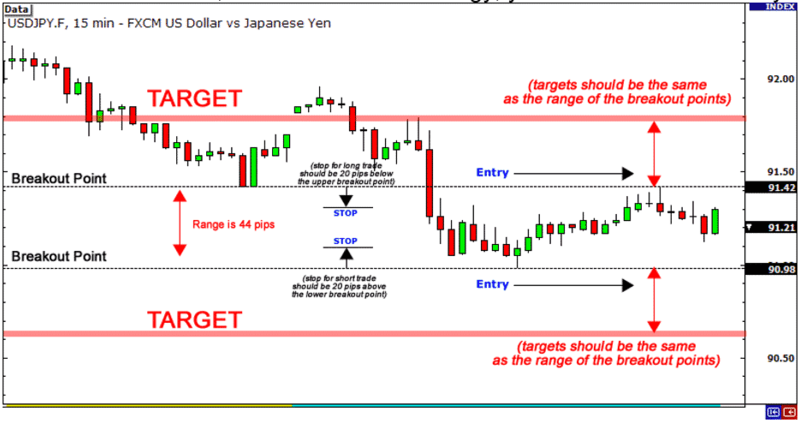 Therefore, thus, you need to set a practical strategy at an entry point a few pips underneath that level. 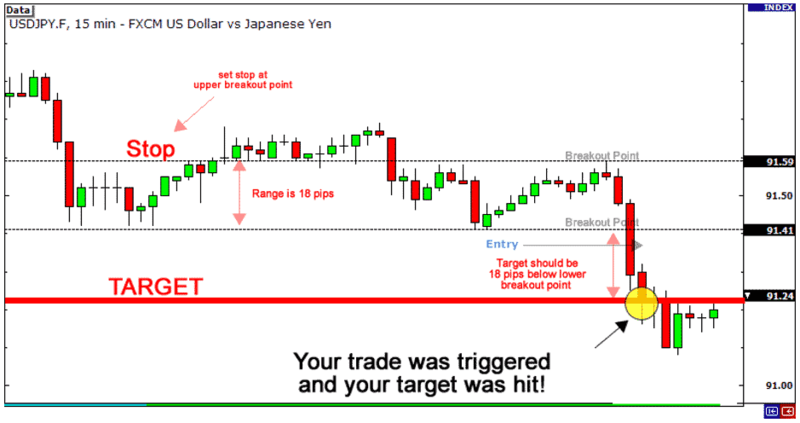 You could then set a stop immediately at the upper breakout point and set your limit for the same number of pips as your breakout position range. Either of these two situations could occur at this point. 1. If the unemployment rate falls, then the rate of the dollar could rise. This would make the USD/JPY to rise and your trade would the possibility of your trade to trigger won’t be there. 2. On the other hand, if the news move as you anticipated and the unemployment rate is increased, the rate of the dollar could fall if we presume that the whole fundamental outlook on the dollar is by now bearish. This is great because you have before now set up a bearish trade on the dollar and all you’ll now do is sit down and watch your trade to unfold. Afterwards, you’ll see that you are able to meet your target. You can then take profit with a handful of pips! The secret of succeeding with a directional bias is your ability to know the concepts behind the news report you are planning to trade. If you lack a proper understanding of the effect on such currencies, you may be traded with a few some bad setups. This is a method of making quick money out of the news release without being aware of the direction that the market would go. This is possible when there is sufficient market volatility. The time you can get the required volatility is when the news such as economic data or central bank economic news is released. The foremost thing you need to do is to check the news reports you can trade. In an ideal situation, you’d want to trade only those reports because they come with a higher probability of a bigger move after a news release. Your next move would be to view the range roughly 20 minutes prior to the actual news release. The high of that range will be set as your upper breakout point, and the low of the range will be set as your lower breakout point. Observe that the smaller the range, the greater the likelihood of it making a large move from the news report. The breakout points will serve as your entry levels. This is the position where you’ll love to set the orders. 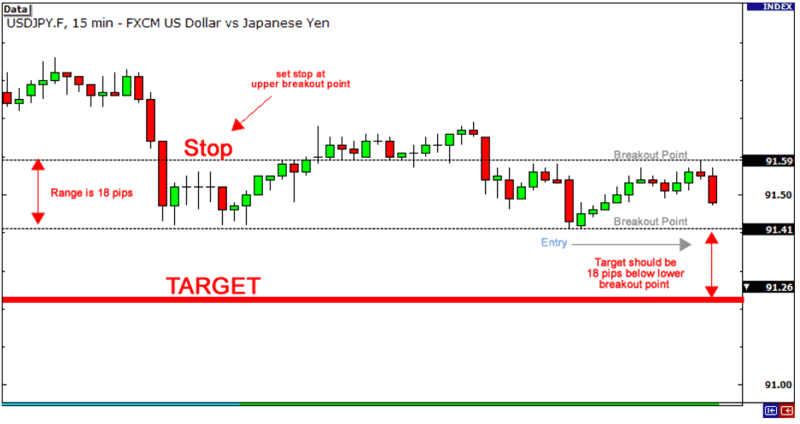 Your stops ought to be positioned roughly 20 pips below and above the breakout points, and your first targets ought to be roughly at the same level as the range of the breakout levels. This is referred to as a straddle trade. You are aiming to trade either side of the trade. The direction of the movement is not essential. No matter the direction of the trade, with the straddle strategy, you can benefit either way. Having prepared to trade the market in any direction, the next thing you need to do is to wait for the news release. Occasionally, you’ll observe that the market is triggered in one direction and within a short while it is inhibited due to a quick price reversal in the opposite direction. Nevertheless, your second entry will still be triggered and if it is a winning trade, you ought to recover your first losses and eventually make a little profit. The best trading situation is when the trade is triggered only in one direction and the price moved continuously entirely in your favor to eliminate any form of loss. However, whatever is the case if you place a correct trade; you’ll still end up with a positive outcome. The more interesting part of trading with a non-directional bias is that completely takes care of emotions giving you the chance to profit when the movement occurs. This gives you chance to have more potential to make a winning trade because the market would definitely be triggered in any of the two directions. There are other additional ways to trade the news but these methods we have described here are the major ones and can used for the major part of your trading strategies for news releases.